The Marlan and Rosemary Bourns College of Engineering (BCOE) at UCR recently received a $750,000 grant from the Office of Naval Research to increase the number of STEM students who transfer from a community college into the engineering program at UCR. A new project, Training Undergraduates through Navy Engagement (TUNE), will expand UCR’s efforts to allow students to transfer and complete a bachelor’s degree in science or engineering in four years. TUNE will strengthen and assist the pipeline through a series of services to students that begin in the first year of college and continue beyond their transfer to UCR. TUNE is a collaboration between the Navy and BCOE to further enhance engineering student experiences, increase recruitment in engineering and provide training in fields of interest to the Navy. This grant will support prospective and incoming transfer students interested in conducting research projects. According to Ruiz and Princevac, numerous BCOE faculty have Navy-related research projects. Further, they have a history of transfer success and involvement of undergraduates in these research projects. This grant will help them take transfer success and research involvement to a new level and further provide developmental opportunities to engineering students. The funds from the Office of Naval Research will be used to support peer mentoring for students at the community colleges interested in engineering, prerequisite course advising by staff, outreach events and a large sum will go toward students who will participate in research with BCOE faculty on projects that are of Navy interest. 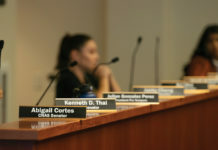 Ruiz and Princevac believe that all community college students should have the opportunity to transfer and continue pursuing higher education. “Community colleges serve as a bridge to all students, and the more opportunities the university can provide to assist them, the better,” stated Ruiz and Princevac. They believe that engineering is vastly growing and is an integral component of society. From improving medical devices, to vehicles, technological communication, environmental friendliness, engineering, according to Ruiz and Princevac, directs the next advancement of civilization. “Engineering shapes the world we live in. 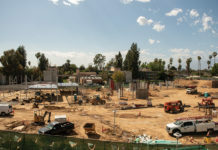 With that said, engineering has a lot of prerequisite courses for community college students to take and through this project we will further streamline the process of transferring into BCOE/UCR,” stated Ruiz and Princevac. 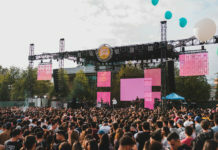 The TUNE project enables them to closely connect community college students to the university and have them experience first-hand the opportunities and resources UCR/BCOE offers. They believe that this closer exposure to BCOE will make them more likely to discover their interest in UCR.